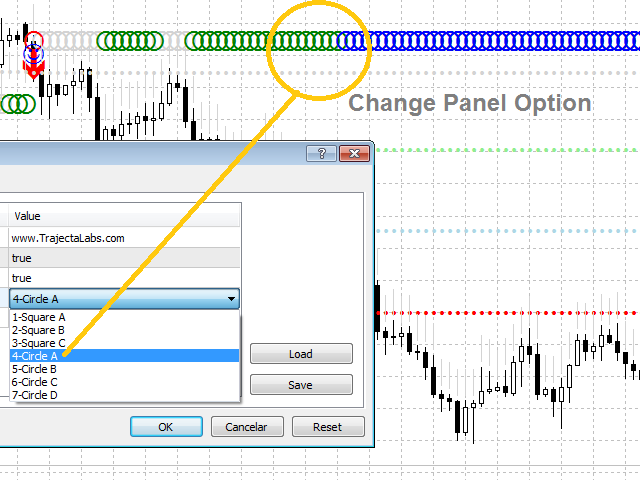 Trajecta Pilot is a Trading Signal Indicator Platform using evolutionary, non-repainting, and self adjusted algorithms of Trajecta Labs. 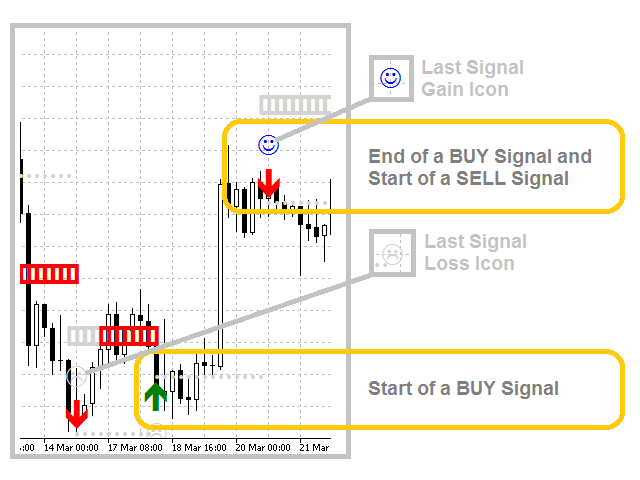 Trajecta trading signals indicators are an innovative, no repainting and automatic buy/sell indicators platform for any pair or period. 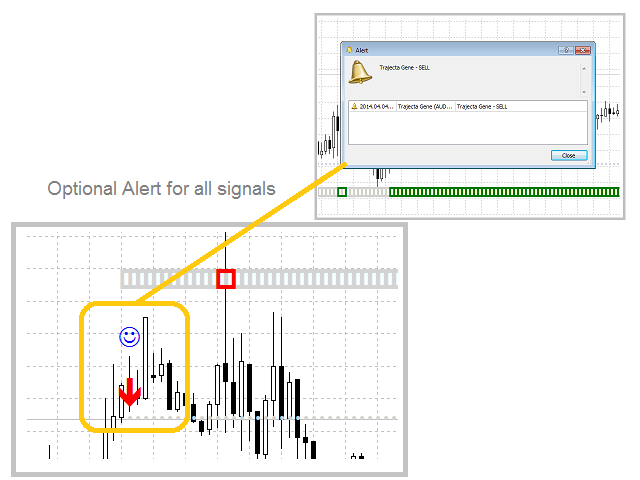 The decision support system of our Indicators uses the very same technology of our successful line of Trajecta Labs trading signals published at MQL5, however using Indicators instead of Expert Advisors (EA). 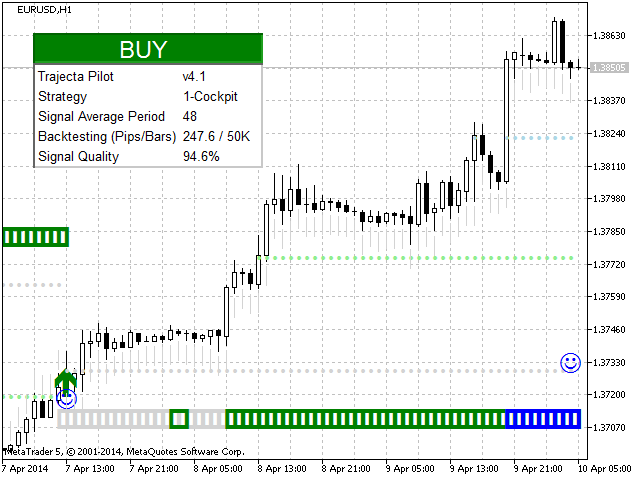 The difference is that the Indicator don't really send orders to the market, and just the trader decides when doing this, based or not on the Trading Signals Indicators. 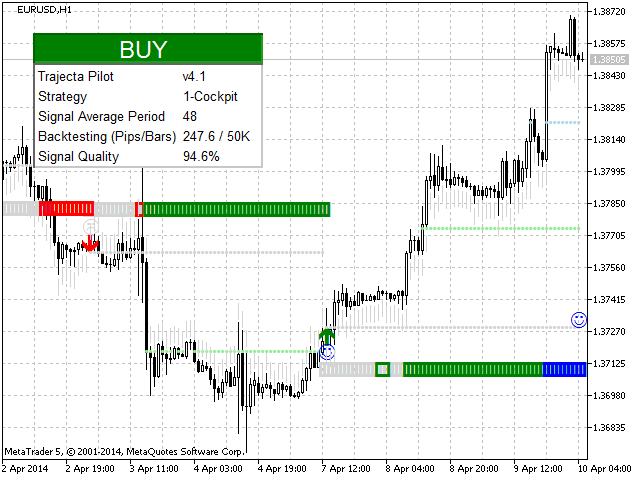 As all trading work is done by the user, the advantage of such Indicators is that product prices are very low, comparing to our 100% automatic market EAs and subscription trading signals. To do this, you just need to zoom in a graph to the maximal you can, and after that inspect if you have more green/blues than red bars. The more green/blues the better. 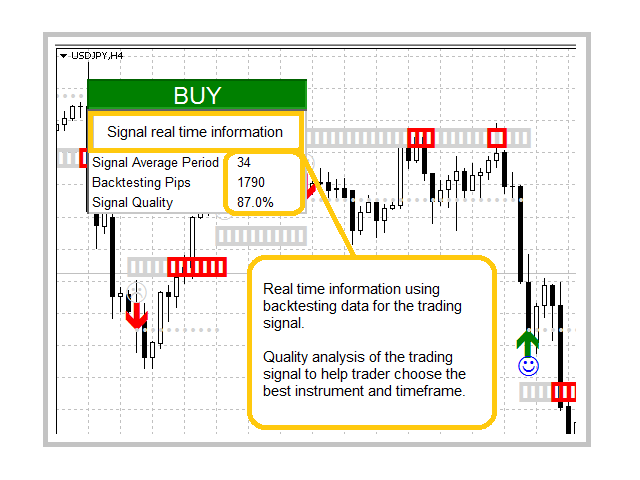 If the signal quality is lower than recommended at trading signal description go back to step 1 and change the pair and/or period. 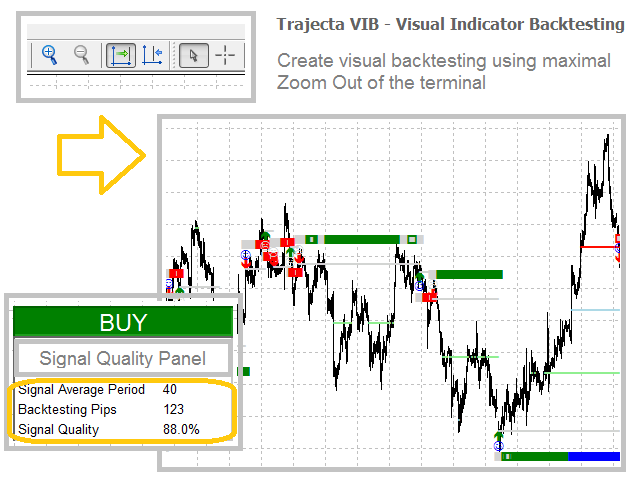 Trajecta is a Brazilian company, founded in 2003, that delivers quantitative and algorithmic trading solutions to global investors, always looking for a level of innovation and return that no other quantitative system can match (complete list of Trajecta Labs market and signals products).